05 Nov 2018 --- Seven Sundays, a brand of muesli cereal in the US, claims to have taken transparency in food to a never-been-reached-before level. The family-owned company committed to performing third-party laboratory tests on its finished products for glyphosate (also known in the industry as Monsanto’s Roundup weedkiller) and is sharing those results directly with consumers on their website. “In the history of our company, we have never received so many concerned inquiries on a single subject as we have with glyphosate on oats,” says Hannah Barnstable, Founder and CEO of Seven Sundays. “The use of glyphosate to desiccate grains, particularly oats, is not news to us, and historically our supplier approval program has always banned the use of this harmful pesticide. In light of the recent and significant increase in consumer awareness of the issue, we decided to take our process further. In September, we had our products voluntarily laboratory tested for glyphosate residues and no glyphosate was detected in our muesli,” she explains. 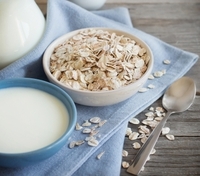 Earlier this year, FoodIngredientsFirst reported that laboratory tests commissioned by US activists Environmental Working Group (EWG), revealed that glyphosate – the active herbicide in Roundup weedkiller used in commercialized agriculture all over the world – has been found in a raft of oat-based breakfast cereals and snack bars. You can read more on this here.